As premiere Beverly Hills and Los Angeles Facelift Surgeons, Drs. Litner and Solieman have recognized through extensive experience that there is a better way to achieve a natural, long-lasting face lift. 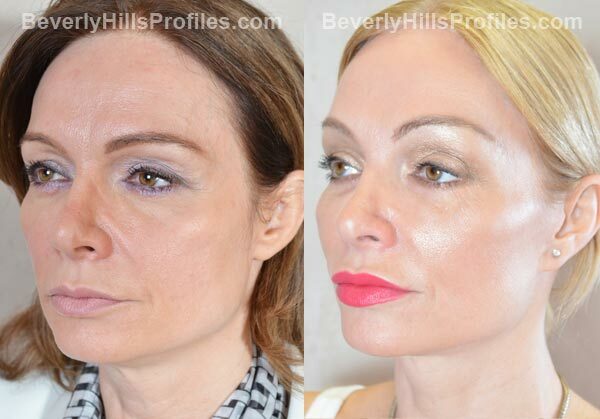 Their answer is the proprietary Hybrid Lift™ performed exclusively at PROFILES Beverly Hills. 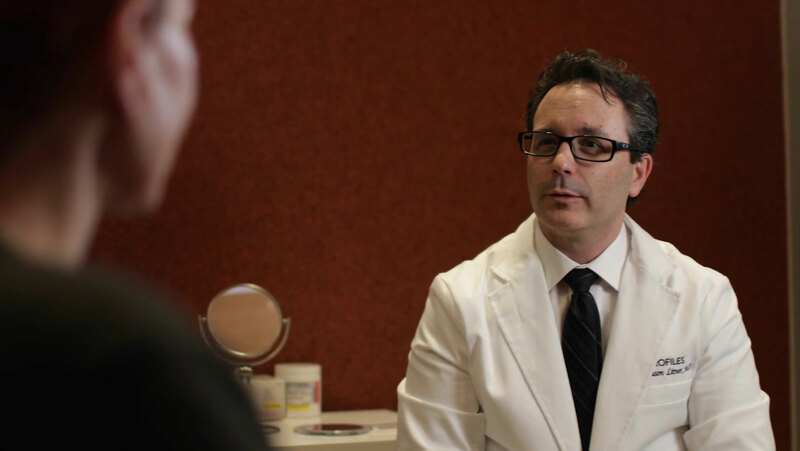 We created our Hybrid Lift™ after listening to what countless patients had to say about their facial concerns. Why Hybrid? Because we’ve taken the best of all the facelift procedures and merged them with volume enhancement, to give you the best facelift you can get anywhere, bar none. The Hybrid Lift™ gives you all the benefits of a long lasting natural facelift but with minimal scarring that does not go up into your hairline. So, you don’t have to worry about hair loss or having your sideburn moved halfway up your scalp. There are no visible scars so you can wear your hair in any style you like. You’ve seen the early signs of facial aging, including deep wrinkles and sagging skin, and you’re not too happy about it. Maybe you’ve been using botox and fillers, and have found that they’re not doing enough for you any more. You look around and see some people who look fantastic and appear to be aging effortlessly. Well, it may not just be good genes. It may be a facelift. And not just any facelift; it may have been a Hybrid Lift. 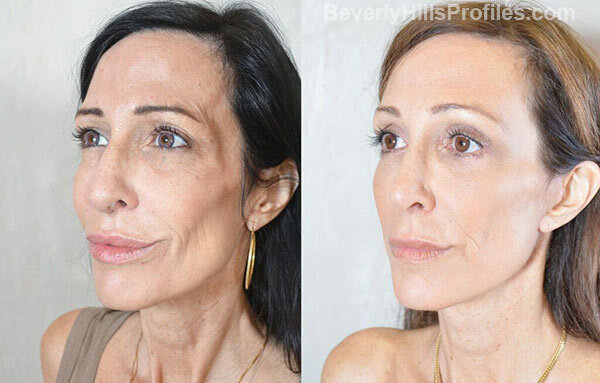 If you think you’re ready to talk about a facelift, you must come to Profiles Beverly Hills to see how our very own Hybrid Lift can transform your look and restore the naturally youthful appearance you’ve been craving. Our Hybrid Lift™ has revolutionized the way we as facial plastic surgeons think about and approach facial rejuvenation. The aesthetic results we have seen with the Hybrid Lift™ have been nothing short of astonishing. And, our patients love that they can be up and around after only a few days. Unlike Mini Face Lifts, The Results Really Last! Because we combine the small incision with lifting of all the deep tissues of your lower face, you’ll get a lasting natural improvement in the neck, along the jaw line, and in the cheek area. And, best of all, we can customize the Hybrid Lift™ procedure to suit your individual needs. Perhaps most importantly for all of you who have to get back to work, the recovery and bruising after a Hybrid Lift™ are kept to a minimum. While you won’t be lunching out the next day, our Hybrid Lift™ patients are presentable and back to their activities soon after the procedure. This innovative face lift surgery procedure combines the best of all available techniques to provide results that are superior to the Mini Face Lift and the Traditional Facelift. As well-recognized specialists in facial plastic surgery, we know that, for facial rejuvenation to work optimally, lifting and volume must be coupled in cosmetic facelift surgery. So, we’ve incorporated micro fat transfer as part of our Hybrid Lift™ in the cheek area and around the mouth for most of our patients who are facelift candidates. In this way we are able to give your entire face a consistently smooth, youthful convexity without the usual negatives of a traditional face lift. Is A Hybrid Lift™ Right For You? The question of which Facelift technique is right for you is answered during your Imaging Consultation once we have gauged the degree of aging and skin laxity among other factors, and weighed these against your needs, desires, fears, and limitations. Unlike other Facelift centers dedicated to one particular type of procedure, Drs. Litner and Solieman avoid the gimmicks, and instead concentrate on customizing a treatment plan to best suit your unique goals. Our Facial Plastic surgeons take every care in planning your Cosmetic Facelift surgery in order to preserve your natural features while giving you the younger and more vibrant look you want and deserve. The aesthetic results Drs. 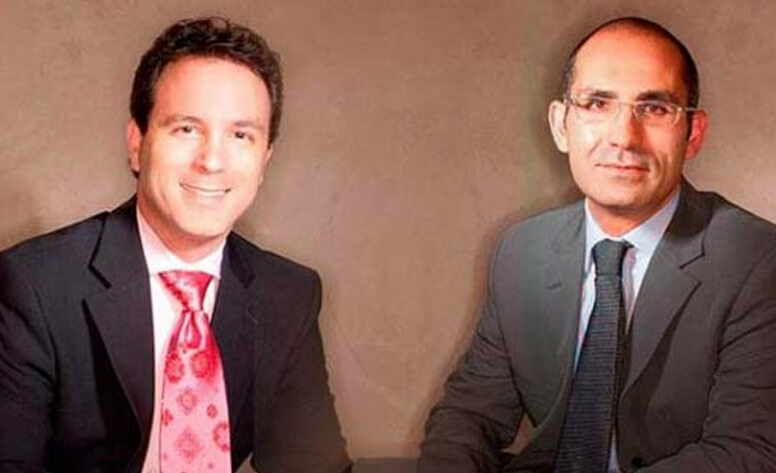 Litner and Solieman have seen with their Hybrid Lift™ have been revolutionary and nothing short of fantastic. And, our patients love that they can be up and around after only a few days. If you are considering a Facelift, we encourage you to contact us now and come in for a consultation in which computer imaging will be used to show you personally what a Hybrid Lift™ can do for you. How Is A Hybrid Lift™ Performed? With the Hybrid Lift™ the skin is lifted in the lower face and neck so that the excess can be appropriately trimmed. But, we then go into a deeper plane to extensively lift the sagging tissues underneath the skin. It’s this lift that actually creates a lasting, naturally beautiful outcome and minimizes swelling and bruising of the skin, shortening your recovery time. All the tension of the lift is placed on these deep tissues so your skin can drape naturally over your jawline and cheek bones without ever having a hint of a pulled look. The extra saggy skin is tailored and removed via the smaller incision which leaves less scarring and also leads to a quicker recovery. And a quicker recovery means you can start looking fabulous even sooner! The Hybrid Lift™ is a minimally invasive procedure. This means it is performed through an incision that is shorter than the traditional face lift. And, the incision is hidden within the folds of the ear so that it is virtually invisible when healed. The diagrams and photos on this page show how our Hybrid Lift™ matches up against other common face lifts and neck lifts. What Sets Our Hybrid Lift™ Above The Rest? The Hybrid Lift™ combines facial volume enhancement with our extensive lift of your sagging deep facial tissues, all performed through a small skin incision. In other words, Drs. Litner and Solieman combine the shorter recovery time and less visible scars of the Mini-Facelifts with the effectiveness and longevity of the more extensive traditional facelifts. And, whether you are just starting to see a sagging cheek, neck and jaw line, or have more advanced jowling, our Hybrid Lift™ can be customized to your specific needs. With our Deep Lift, we are able to reposition the deep supporting facial tissues (the SMAS) back into their proper youthful location to give you a truly natural look. Using a minimal incision just around the ear, the incisions are completely inconspicuous. Unlike traditional lifts, we never get into the hairlines, move hair tufts, or get a windswept appearance. You can style your hair any way you like. Whereas in Mini Facelifts, in which only the superficial layers are manipulated, here the work is done in the deep layers, providing our patients with longer lasting results. By restoring fat volume, we fill out the concavities responsible for your aged appearance and we restore you to your youthful, aesthetically pleasing heart-shaped facial structure. By using your own fat as a facial filler,the results will look natural and will last. The same cannot be said for temporary facial fillers. And, unlike with permanent fillers, you never need to worry about the long-term effects of facial fillers with our Hybrid Lift™. The following information is provided to give you a basic understanding of the Profiles Hybrid Lift™, including how it can help you, how it is performed, and what you can expect. Because much of facial plastic surgery is dependent upon your individual characteristics, a personal Profiles Consultation is the best way to have all of your questions about the Profiles Facelift answered and your specific needs addressed. A Hybrid Lift™ can improve your self-confidence and provide you a more youthful, refreshed appearance. In general, we have found that men and women who have some elasticity in their skin and a strong, well-defined bone structure are the best candidates for a Hybrid Lift™. Other factors that we will take into consideration during your consultation include your skin type, your individual healing, your ethnic background, and your smoking history. While the majority of our Hybrid Lift™ patients range in age from their forties to their sixties, facelifts are successfully performed at PROFILES on patients in their seventies and eighties. As you decide to undergo a Profiles Hybrid Lift™, you can also ask your doctors if there are any additional surgeries that they would recommend to enhance your facial appearance. The Profiles Hybrid Lift™ starts with a minimally invasive mini-lift incision. Unlike traditional facelift incisions that extend into the hairline both in front of and behind the ears, our Hybrid Lift™ incision is limited to the skin creases around the ear itself (shown in blue in the photos). This presents several very meaningful advantages that have patients from around the world coming to Profiles for their facelifts. Incisions in the hairline can risk causing hair loss and upward pulling or even removal of the temporal hair tuft, the wispy tuft of short hairs in the sideburn area. Thinning, removal, or upward movement of this tuft is a clear giveaway of a facelift procedure and will often mean that women can’t wear their hair back. The same goes for incisions in the hairline behind the ear that can heal poorly and be seen when your hair is pulled back. Over many years, we’ve found that these extended incisions are completely unnecessary, as they don’t add any real benefit to the lift. Instead, our minimally invasive incisions ensure rapid healing and inconspicuous scars so you can enjoy your beautiful new face without fear of looking unnatural. And, even better, you can style your hair any way you please! Our Hybrid Lift™ uses mini-lift incisions that ensure a rapid recovery, but combines these with a lift that is extensive in its scope. This is a crucial aspect of the procedure as it allows us to accomplish maximal reversal of your sagging neck and jawline. The area of skin lifted over the side of the face is shown in green, extending from your cheekbone over the jowl area and all the way down into the neck. For those in need of a platysmaplasty (central neck tightening), the central neck skin is elevated (shown in yellow) from just under the chin down over your windpipe, extending over to join the area elevated on the side of the face. In this way, the facial skin is elevated in continuity over all of your problem areas to ensure a comprehensive and smooth, natural lift without areas of dimpling or undercorrection. In contrast, in a mini-lift, a much smaller area of skin is lifted just in front of and behind the ear, which translates to much less correction of sagging skin. While that might be fine for someone with very early jowling, someone needing more is going to be disappointed by what a mini-lift can accomplish as compared to our Hybrid Lift™. Once the skin has been widely elevated, our Hybrid Lift™ proceeds with the SMAS dissection, the heart and soul of our comprehensive, natural facelift. The SMAS (Superficial Musculo-Aponeurotic System) is an extensive layer of thin, but tough, fibrous tissue that covers the muscles and deeper tissues of the face and neck. Unlike many surgeons’ techniques that place most of the tension on the skin, it is this layer that does all the heavy lifting in the Hybrid Lift™. Why is this important? Because your skin is stretchy, excessive tension placed on the skin will often lead to facelift problems such as the dreaded windswept look, stretching and widening of the incision, and pulling down of the ear lobe (Pixie ear deformity). These problems are prevented by placement of all tension on the SMAS layer. This also ensures longevity of the lift. Since the SMAS layer is much less elastic and stretchy than skin, tension placed on the SMAS will provide an enduring lift that won’t fail and fade over time. In our Hybrid Lift™, a large crescent of SMAS tissue is actually removed (shown in purple) and the edges are brought together. In addition, the platysma muscle (shown in red) is widely exposed so that it too can be tightened to provide the ultimate in neck recontouring. Tightening of the SMAS and platysma layer has two key components that allow us to achieve a remarkable recontouring and definition of the neck, jawline, and lower face. First, splayed platysma edges are brought together in the midline under the chin. With age, the normal connection between the platysma muscles frays and widens, causing banding of muscle in the neck and allowing fat pockets to protrude (in yellow). In the Hybrid Lift™, this muscle connection is repaired using a corset-type suture technique that tightly overlaps the edges in the midline, restoring a youthful neckline. Next, the crescent of SMAS tissue in the face is removed, and the leading edge is lifted and tightly secured to bring the edges back together. A critical aspect of the lift is the vector, the direction in which the tissues are pulled and tightened as noted by the arrows. The vector of lift should be about 45 degrees along the jawline, and from the corner of the mouth to the upper ear. Anything more horizontal or vertical in direction can cause unnatural distortion of the tissues and an operated appearance. Using the correct vector in our Hybrid Lift™ allows us to guarantee a completely natural, unoperated result. With the facelift experts at Profiles, you can be assured of the perfect lift every time. Here you see the edges of the platysma have been oversewn and the edges of the SMAS have been sutured back together (shown in purple). Placement of tension on these deep tissue repairs will ensure a smooth, extremely robust, and long-lasting improvement of contour for many years to come. At this point, there is a lot of extra skin to remove! Since all of the tension of the lift is placed on the deep tissues, the skin can be gently re-draped over the face and neck. The excess skin around the ear is carefully trimmed flush and removed without any pulling or distortion. We often remove as much as an inch or more of skin from each side! Without tension, the incisions heal quickly and smoothly, and are almost imperceptible within a short time after surgery. Patients often can’t believe how good their neck and jawlines look even the day after surgery! Now that the sagging tissues of the face and neck have been corrected, we turn our attention to dealing with the second major indicator of facial aging, loss of facial volume. Our famous Hybrid Lift™ would not be complete without facial fat transfer to your cheeks and folds. We love fat transfer at Profiles! There is nothing better for natural, volumetric enhancement of deflated cheeks, under eye hollows, and deep facial folds around the mouth and chin. And nothing makes you look younger and with more vitality than full, healthy-looking facial contours. That’s why every Hybrid Lift™ we perform includes comprehensive fat transfer to all areas that are in need (shown in blue). As we age, not only does our skin stretch but our tissues shrink. And not only do we lose volume in our fat pads but we lose bone density too. This leads to an appearance of deflation and loss of volume. So, any facial augmentation procedure should address volume loss to get the best possible result. Unlike temporary fillers, think of fat transfer as a fat transplant in which healthy living cells are transferred from your body to your face. Many wonder whether these transferred cells survive for very long or go away over time. The success of this procedure has a lot to do with using the right technique, and we can tell you that, in our hands, you should expect to have a fantastic result that will last for many, many years. The Results With our Profiles Hybrid Lift™, you too can look forward to a spectacular new you! Contact us today to see how we can help make your facelift fantasy come true.